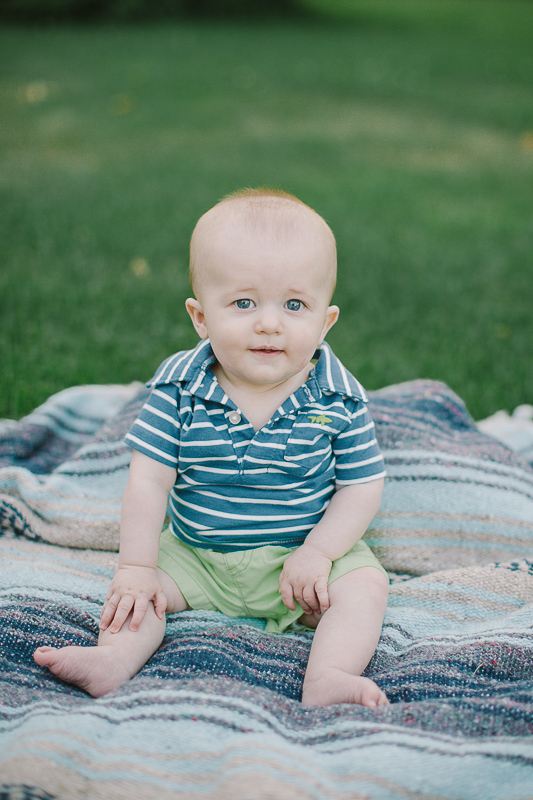 I met this cute Appleton family in July for Weston's 6 month photos. Mom and dad were AMAZING and Weston too! Although he was more impressed with my mini assistant, I managed to steal his attention away from her for a few smiles. Weston sat up for the first time that day!!! Just in time for family photos, but he definitely enjoyed tipping back from that sitting position and laughing about it! I'm pretty this lil guy is going to keep mom and day busy once he figures out how to crawl ! !